Train Hard. Train Often. TRAIN TRB! Train in the privacy of your own home or environment with gun range training sessions. Anywhere in Orange County, CA. Highly-trained professionals with extensive weapon, military and real-world combat experience. This was a great experience! The training team had lots of great stories and real world experience to keep things interesting during the classroom portion. There was lots of practice during classroom as well. The range work was fun, but with some pressure to make it more like real situations. Very humbling! Overall, an A+ for content, practice and fun. I would highly recommend this team to anyone from newbie to advanced. Read more reviews or write a review for us HERE. The MOST COMPREHENSIVE CCW course in OC! Weekend Day & Night Shoot! 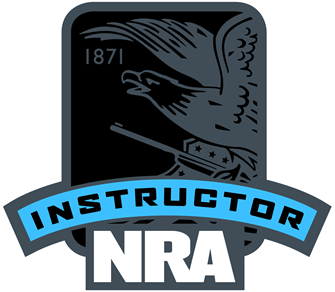 Learn valuable firearms & self defense skills to stay safe. The world is changing dramatically and our own country is at an existential crossroads when it comes to protecting yourself and loved ones from the dangers that lie in wait. At Tap Rack Bang Training (TRB), we’re dedicated to helping Americans learn how to properly, proficiently and safely use firearms for personal and home defense. Led by highly-trained professionals with extensive weapon, military and real-world combat experience, our firearms training in Orange County, California is unmatched. In fact, our expert firearms consultants provide personalized, confidential tactical handgun training at your preferred location with hands-on, supportive direction. What is Tap Rack Bang Training? “Tap Rack Bang” a military training mantra that goes beyond teaching you the basics of holding a firearm or understanding how to use it under duress, but how to fluidly and efficiently employ it through reflexive muscle memory. This ensures you act not on “aggressive instinct” but instead on carefully calculated procedure. What’s more, our program is designed to give you the confidence needed to safely and effectively employ your firearms in the case of an emergency. We’ll even help you succinctly understand the differences in firearms types as well as their advantages and limitations. 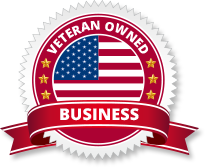 With multiple custom-tailored training and proficiency packages available—including self-defense, home defense tactics, firearms certifications, firearm fittings, storage and safety, and more—we’re ready to help you train to a military-grade standard. Today, a home is robbed every 18 seconds; even in the daytime and when you’re home. With an increased level of violence and terrorism, it’s only right that you employ your 2nd Amendment right to bear arms and feel safe and secure independently. Let our expert firearms training team make sure you never feel like the victim. Learn more about our talented instructors and staff. Our students have turned into satisfied TRB clients. Read all of our past newsletters from the archives. Stay updated with the latest news, events, special discounts and promos. Subscribe below. TAP RACK BANG OPERATES IN ACCORDANCE WITH FEDERAL LAW AND AS A RESULT CAN ONLY WORK WITH AMERICAN CITIZENS WITHOUT ANY FELONY CONVICTIONS. Stay updated with the latest news, events, special discounts and promos.